In the Camonica Valley above the lake Garda at the eastern Lombardy in Italy stone carving made by prehistoric humans were discovered at the beginning of the 20th century. The scientists considered Valcamonica archaeological site as one of the most comprehensive and important archive of human history before the scriptures. About 300.000 or even more rock engravings in Valcamonica made up one of the most extensive databases in European human history from the Ice Age until the era of the Roman Republic and beyond, in some cases till to early Middle Ages. 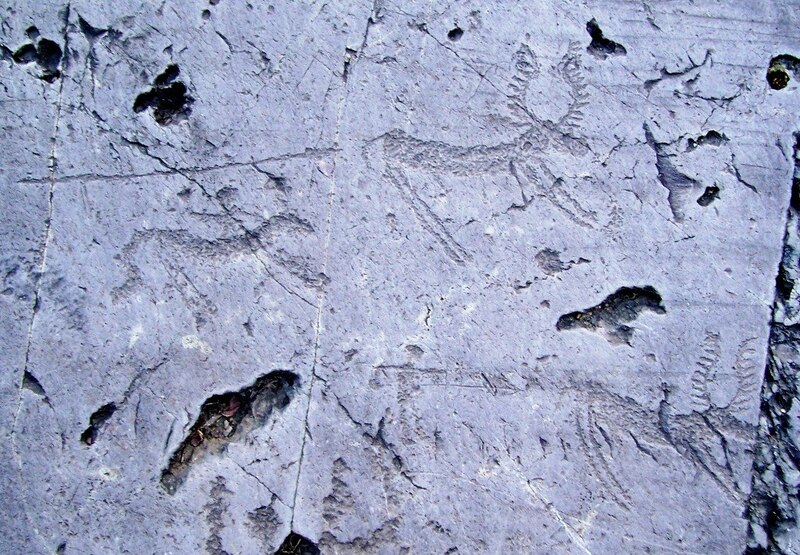 In 1979 the unique prehistoric rock drawings from Valcamonica was added as the first Italian entry in the UNESCO World Heritage List. In fact, first discovery of this site happened in 1909 by alpinist and student of geology, chemical and natural sciences Walther Laeng from Brescia. The scientific circles in Italy at that time were not particularly interested for discovery but more intensive research began in the 1930s by the Italian anthropologist Giovanni Marro. Later, research at this site was continued by other scientists: Raffaello Battaglia, Franz Altheim, Gualtiero Laeng, Piero Leonardi, Emmanuel Anati and others. At the end of the Ice Age, the glaciers had retreated leaving behind the slate and sandstone finely granulated, well-worked rock slabs in Valcamonica. The polished rock tablets within drawings made by the prehistoric humans, created the basis for the unique “World Archives of Rock Art” as Emmanuel Anati called it in his scientific paper. In accordance with the discoveries of the prehistoric culture at the Camonica Valley he founded in 1964 “Centro Camuno di Studi Preistorici” or “The Center of Prehistoric Studies Camuno” in Capo di Ponte. For a long time, the Camonica valley and its prehistoric inhabitants remained isolated from the rest of the world. This was the best prerequisite for humans to develop their society without interruption, from the Paleolithic and Neolithic people and all the way to the ancient times. In 16 BC, the Romans led by Publius Silo during the period of Roman Emperor Octavian Augustus conquered this region. Romans subdued those inhabitants and called them “Camuni”. 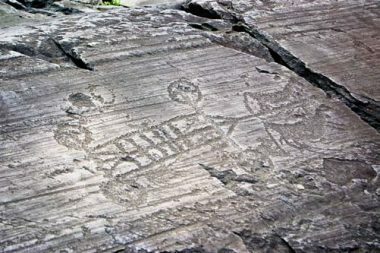 With the invasion of the Romans, the period of the rock engravings in the “Valley of the Camuni”, were initially over. Throughout different periods, rock arts of the Camunian culture reflects living conditions, economy, belief, social relations and relations with neighbors of the prehistoric humans. According to Emmanuel Anati’s updated research paper, the Proto-Camunian period lasted from 12.000 to 7.500 years ago. This period coincides with the first phase of Holocene with beginning of the Epipaleolithic period (era between Upper Paleolithic and Neolithic). The first rock carvings in the typical style of the primitive hunters originated here in the 10th millennium BC, in the Epipaleolithic period and this was scenes of the hunting animals without bow and arrow. The oldest depictions in Valcamonica were located in Luine, at the entrance to the valley. Remains of the settlements of the Proto-Camunian period were unearthed near the Castle of Breno, Nadro and Cividate Camuno. 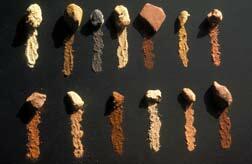 In this period prehistoric people have produced their stone tools and weapons known as microliths. Microliths were usually fixed to the handle made from the bones or wood. The survival of the prehistoric humans depended (in addition to collecting food from natural environment) from the success of the hunting. This was the one of the reasons why those humans engraved hunting scenes of the moose or deer. This was also some kind of rituals made by prehistoric humans for more successful hunting because meat from the animals was the basis for the economic survival. The researchers assume that the Camonica Valley in the beginning of the Proto-Camunian period for the paleolithic humans initially served for hunting and they settled Valley in a large number later because it was served as a place for hunting worship and belief. Thus prehistoric artists perpetuated, in a naturalistic style, a prey animal, pierced by two spears, in Rock no. 6 in Luine. Quartz pecking tools with different color used by prehistoric people for the purpose of engraving in Rock at the Calcamonica Valley. It suggest that engraving scene were probably colorized at that time. Photo: Emmanuel Anati, Records WARA Documents (See reference No 2 bellow). This hunting scene represent the massive body of the animal which promises rich meat portions in contrast to the thin legs of the animal. Probably the collar which the deer is depicted, represent domestication of the first wild animal. Inhabitants of the Camonica Valley were engaged also in fishing which can be seen from the stone carving scenes located at the hill of Luine. This is not the only case in Europe when it comes to this kind of prehistoric art. It was a kind of life component of prehistoric humans but the greatest similarity compare to Valcamonica rock carvings can be seen on the archaeological sites in Northern Scandinavia, Sicily, Austria, Spain and Portugal. The First and Second Camunian period correspond to New Stone (Neolithic) prehistoric era from 7.500-5300 years before the present or 5.500-5.300 BC. Third period of the Valcamonica culture lasted from 3.300 to 1.200 BC and included beginning of the Copper metallurgy (Chalcolithic period), Early and Middle Bronze Age. On the basis of the engraving in the rocks, the life of prehistoric people at the First and Second Camunian period began to change typical for the neolithic way of life. Changes were also visible on the basis of archaeological findings like the remains peaces of pottery, tools and weapons. During this period, the indigenous humans started to assimilate within newly-population who have been looking suitable place for their settlement. In this period, art was no longer focused on animal hunting, since the Neolithic population increasingly began domesticating wild animals. The first domesticated animals in the beginning of the First Camunian period were dogs, oxen and goats. The scenes carved into a rock were contained anthropomorphic figures in most cases with upraised hands known as “praying posture”. With the growth of economics, neolithic people of the Camonica Valley have introduced innovations in agriculture, animal breeding, producing of pottery, tools (hoes and plough) and weapons (spears, boomerangs, bow and arrow). W07626; Tracing CCSP; WARA W00601), see reference No 2. The Fourth Camunian period lasted from 1.200 to 16 BC and coincidence within Middle Bronze Age (1.200-1.000) and Late Bronze Age (1.000-800 BC), Final Bronze Age and Iron Age. Compared to the Neolithic period the production of weapons and tools at the beginning of the Fourth Camunian period has reached a great technological progress. There were numerous figures of structures, huts, barns, shrines and temples. There was also representations of handicrafts activities, such as metalwork and construction of wheels. Essential economic activities of the Camunian people during the Bronze and Iron age were trading, mineral extraction, metalwork, animal breeding, agriculture, and hunting. They have also learned how to write, because at the and of the Fourth Camunian period influence of the Etruscans, Celts and Romans has been increased. 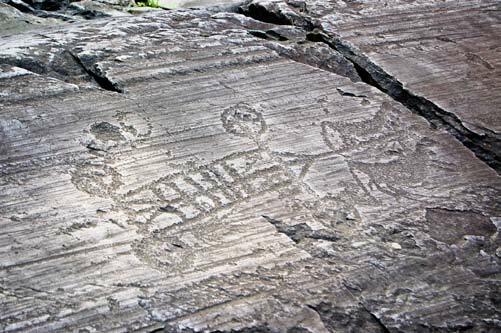 For example at “The National Rock Engravings Park” in Capo di Ponte on the Rock number 99 there was rock engraving within Latin inscription. During the Iron Age those people used also wagon (probably for ceremonies and important funerals) which can be seen from a draw on the Rock number 23 in same National Park at Capo di Ponte. Emmanuel Anati, “Introducing the World Archives of Rock Art (WARA):50.000 years of visual arts”, New discoveries, new interpretations, new research methods, XXI Valcamonica Symposium , Capo di Ponte, Edizioni del Centro, 2004, p.51-69. Emmanuel Anati, “The Way of Life Recorded in the Rock Art of Valcamonica”, Adoranten, 2008, p. 13-35. Alberto Marretta, “Digging the Past: one hundred years of research on Valcamonica rock art”, Adoranten, 2008, p. 36-54. Emmanuel Anati, “Valcamonica rock art: state of the art”, BCSP Bollettino del Centro Camuno di Studi Preistorici – vol. 37/38 – 2014, p. 7-18.